Is The Hi-Performance 2 in 1 Elliptical Cross Trainer As Functional As The Specification Suggests? The Hi-Performance 2 in 1 Elliptical Cross Trainer is the sort of model that seems to have everything that at-home users would look for, at a pretty affordable price. 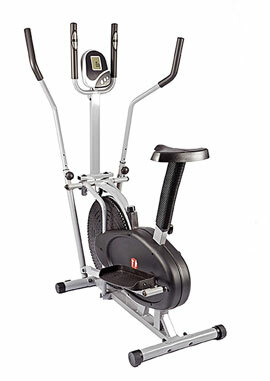 This is not the flashy gym stand model, and doesn’t really look like it with the slightly clunky design, but it still has a strong looking frame, decent saddle and flywheel, adjustable handlebars and LCD console. The aim here is to offer a great working for all major muscle groups, but are users appreciating what they receive?